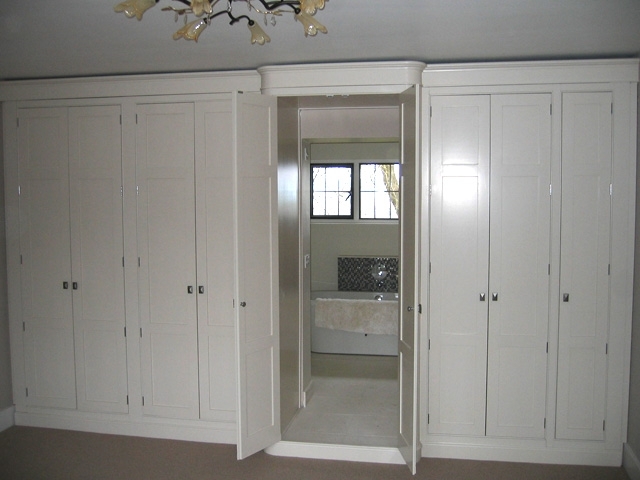 The handmade wardrobe carcasses are made from oak and finished in a matt clear lacquer. The front of the wardrobe unit has been lipped up with timber and spray painted. 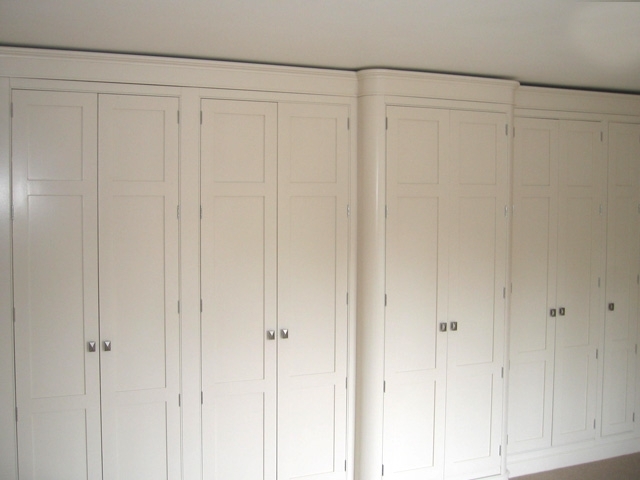 The wardrobe doors are handmade from solid tulipwood and have been spray-painted with a colour selected by the client. The distinctive chrome hinges were hand-picked from a website that Bourne's Fine Furniture uses. But the cleverest part of the bespoke design is the two central doors that open up to allow access to the client's on-suite bathroom. 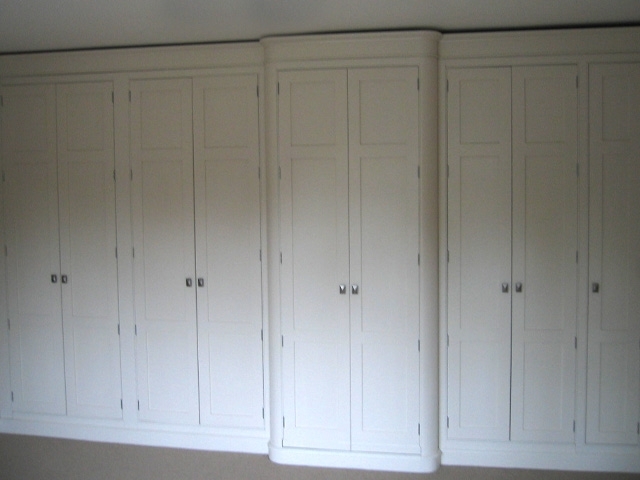 On each side of the doors you will notice the big round pillars, which break up the flat line of the front of the wardrobe. All the mouldings are handmade by Bourne's Fine Furniture.